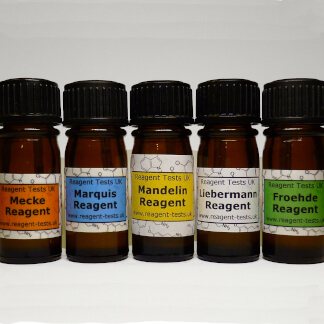 This multipack contains the most useful reagents for testing cocaine and MDMA. 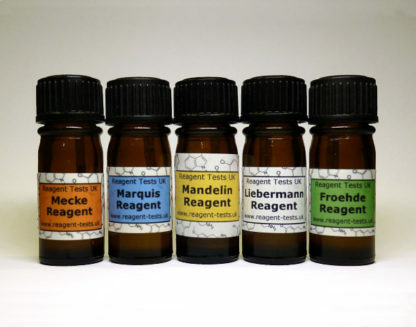 Using more than one reagent on a sample is essential as no single reagent can detect everything. Both drugs are fairly easy to adulterate and this is often done to increase profit margins, but sometimes the cutting agents added have unwanted effects and can even be dangerous. 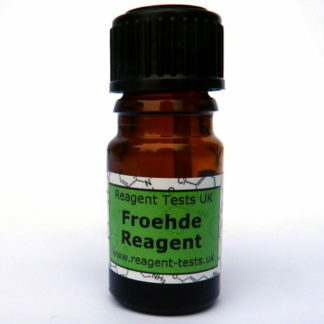 Examples include methamphetamine added to cocaine or PMA sold instead of MDMA. You can read more about each drug’s cutting habits on their respective pages: MDMA and cocaine. This multipack contains the following items. 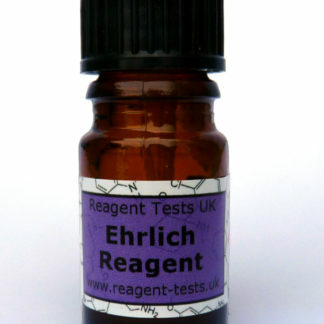 These are multi-use bottles which will give around 30 tests. Each name links to the individual test page in case you’d like to learn more about it. 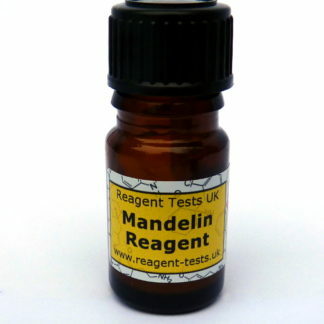 The mandelin reagent is the same as the cocaine cuts test sold by some other vendors. The liebermann reagent can also be used to tell MDA and MDMA apart if desired. If you can’t store them in the fridge then keep them in a cool, dark place.